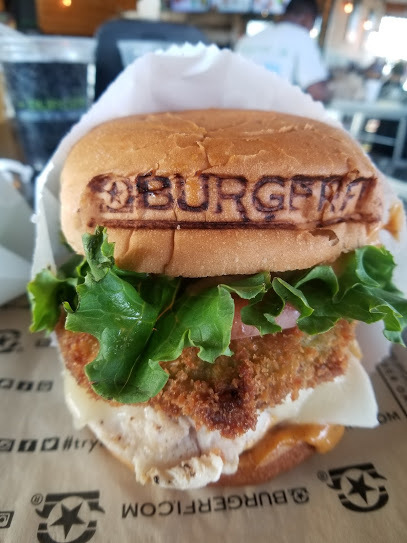 I was recently invited to BurgerFi to sample the newest addition to the menu; The Chicken Avocado BLT, the first chicken sandwich available on the menu. I have to share we were quite impressed. The all natural free-range chicken breast grilled to perfection, a tender, moist offering, stacked with fried avocado slices and white cheddar with the required bacon, lettuce, and tomato. Dressed with a honey mustard bbq sauce that complimented the chicken and avocado, served on the signature BURGERFi roll. There was nothing no to love about this sandwich. We urge you to give this new item a try, not only will it be a treat for your mouth but a $1 from each sandwich will go back to St. Jude Children’s Research Hospital to help end childhood cancer. We were also treated to a few other menu items so I must share the deliciousness with you. The first thing that caught our eye the Green Style Burger, yep no bun but lots of meat and super crispy iceberg lettuce. I love handheld options, and this was it. 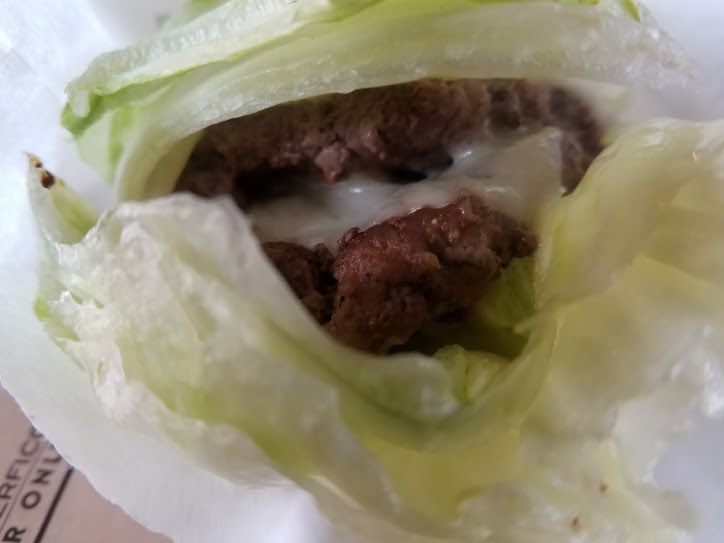 The all natural beef, brisket meat was a melt in the mouth experience, slathered in garlic aioli then surrounded by the crisp lettuce; this Green Style is a burger one could eat every day of the week. 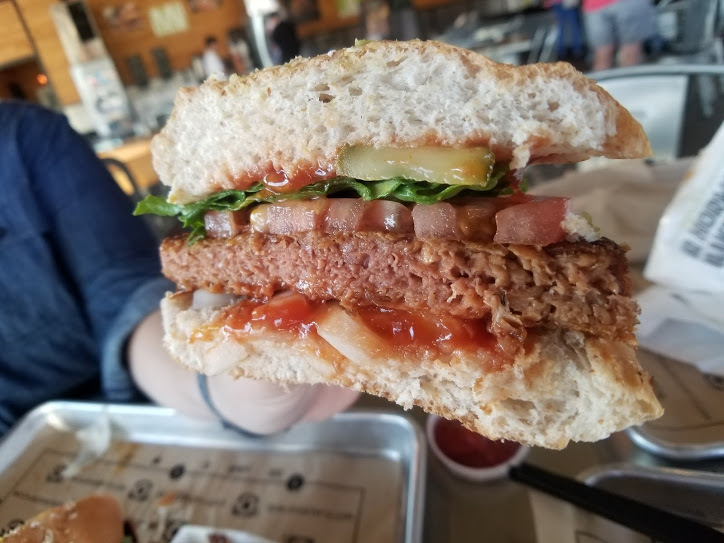 We also wanted to sample the Beyond Burger a 100% plant-based Beyond Burger® from Beyond Meats® was served with American cheese, mayo, ketchup, and the required burger add -on’s lettuce, tomato, pickles, and onions. I do believe it you did not know it was not a beef burger it may be difficult to tell the difference. 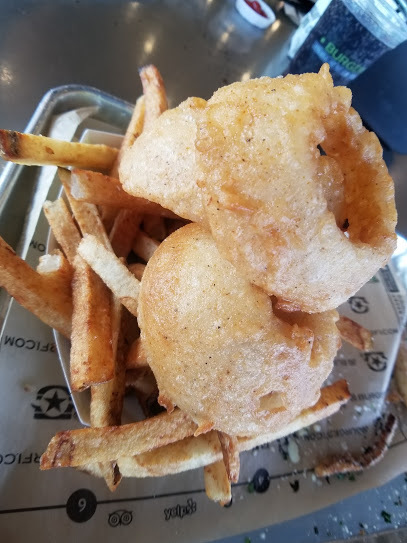 Our next indulgence the Cry and Fry, a combo of ginormous onion rings and hand-cut fries, the eye appeal was immediate when the food arrived. To add more the Parmesan and Herb fries also made it to our table. 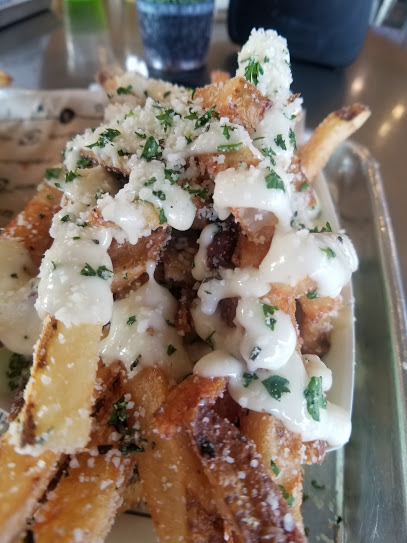 The combo of cheese and herbs to the fries was a total game changer. 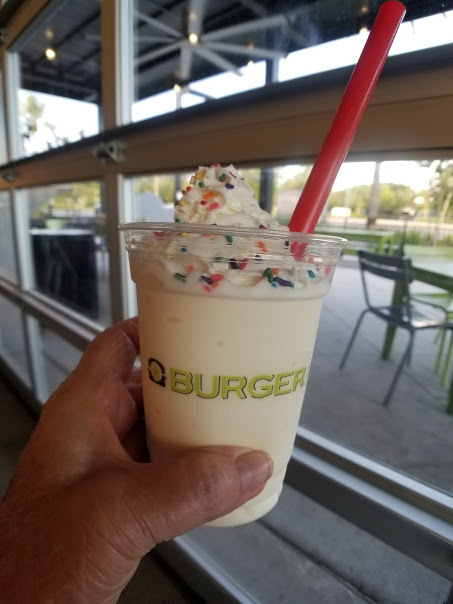 We knew it was time to stop, yet we decided to share one of the many flavored shakes that are available. We opted for small vanilla, covered in festive sprinkles and a massive dollop of whipped cream. The shake was an end to a wonderful feast. 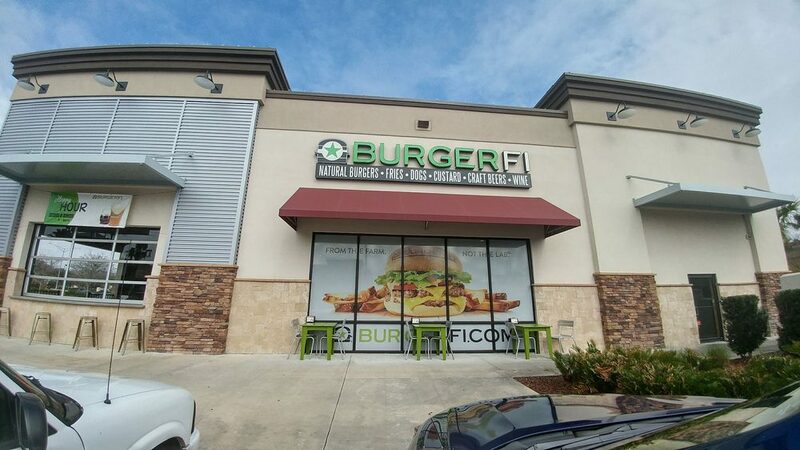 Here is a shout out to BurgerFi for hosting us, and to my readers, go to your nearest BurgerFi and sample the Chicken Avocado BLT.